The wars in the Middle East have slowed down and ISIS has effectively lost the battles of Iraq and Syria. Men from all over the world made their way to those countries to fight in the jihad. Some of them from Southeast Asia. 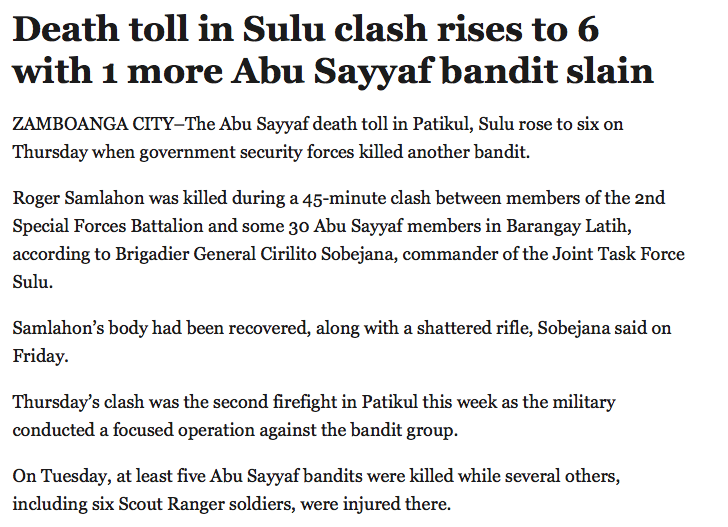 Now the battle has shifted to the Philippines as those men who survived return home and as new jihadis heed the righteous call to war. Security analyst Rommel Banlaoi, chair of the Philippine Institute for Peace, Violence and Terrorism Research, noted that while the fresh firefight in Maguindanao was an offshoot of a regular military operation, threats from Islamic State-inspired militants remained real. 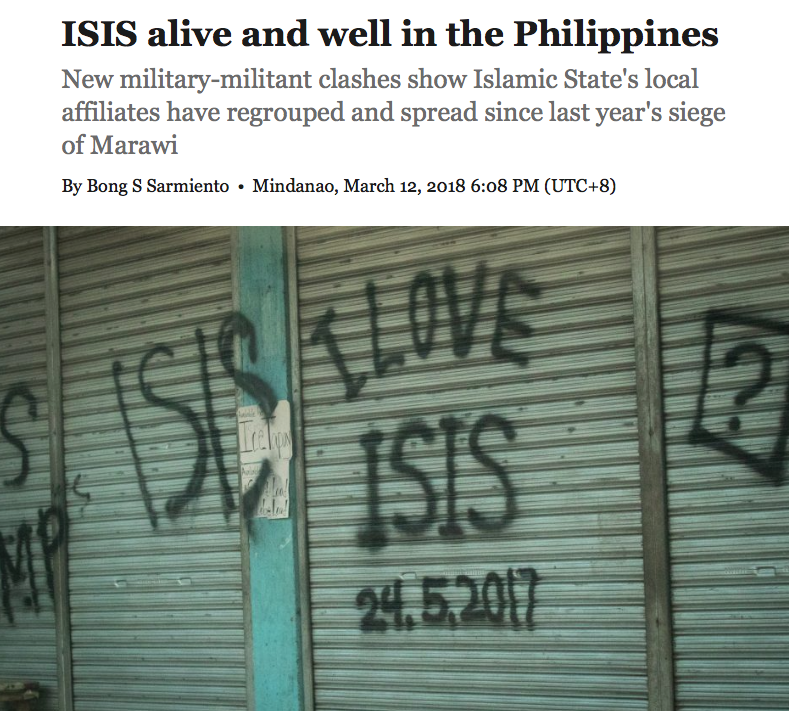 “Mindanao, particularly the ARMM, is deeply penetrated by ISIS Philippines,” Banlaoi told Asia Times. 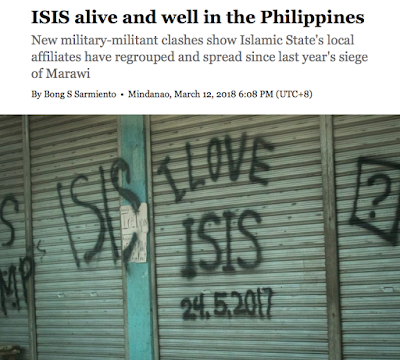 “ISIS Philippines is discreetly recruiting members like wild fire and it has established strong sleeper cells in key vulnerable cities in Mindanao,” Banlaoi claimed. This news is not new. 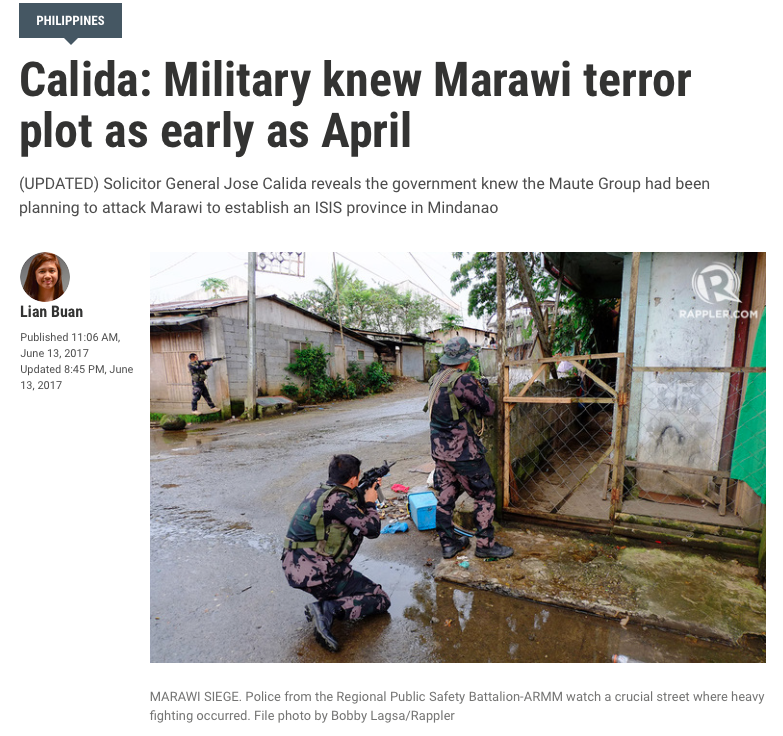 It is only a confirmation of what has been playing out since rumours of ISIS establishing itself in the Philippines began to be whispered about in 2014 and since the end of the Marawi siege and what analysts have been saying would be the resultant aftermath. 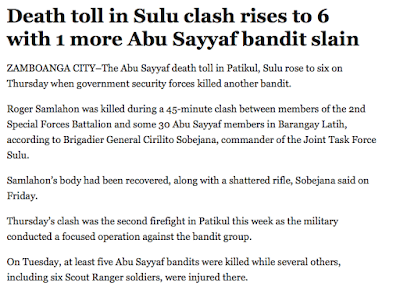 It also puts into context the intermittent fighting happening in Mindanao. Fighting against terrorists is nothing new but now there is an urgency in the matter to root out what is a growing threat. Five here, six there, while hundreds, maybe thousands remain in hiding waiting for the right time to launch an attack. What is the best way to fight these terrorists? Cooperation between nations? “A lot of what was discussed was how do we build resilience in Southeast Asia region…Marawi was a surprise so you have to learn how that did that come by…..What’s happening in [other countries] it could happen in your just country, it just hasn’t come around yet.. It’s a preventative way to be more resilient,” he also said. 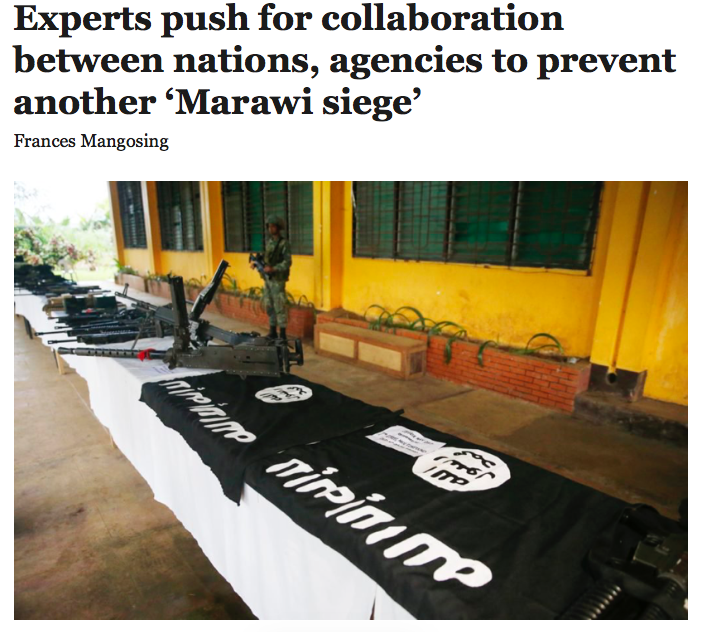 “The collaboration, sharing of networks, information sharing, and better understanding between agencies and military is gonna be critical in order to identify these, who’s coming to your country, and who’s coming to your region,” Gumataotao said. “I believe terrorist groups are cooperating and collaborating, and governments should also do the shift from cooperating to collaborating. If you don’t, the threat will persist,” Gunaratna said. Nations cooperating together and sharing information to combat ISIS, which threatens the entire SEA including Australia, sounds wonderful but this is the Philippines and the fact is sharing information was not able to prevent the Marawi siege because the officials in the DND did not verify any of the intel reports they received. Malaysia, Indonesia and Singapore have earlier warned the Philippines of the possible presence of ISIS-inspired local terror groups in the country, according to a report from UNTV. 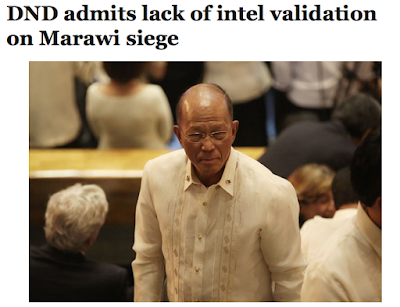 Lorenzana said that the incident in Marawi City would serve as a lesson for the Department of National Defense and the military to validate intelligence reports. "Maybe what we can do in the future is restudy what we are doing [in the] intelligence sector... so that we can be better prepared if something like this happens again," Lorenzana said. 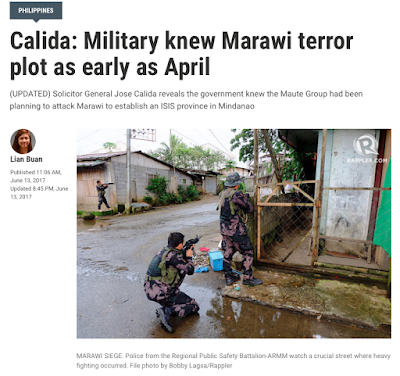 Gunaranta is wrong that Marawi was a surprise. But he is right that "you have to learn how did that come by." Only no one in the Philippines Senate can be bothered to launch an investigation into how it came by and so the nation remains unprepared for whatever horrors lie in its future. It's not as if the Philippines has been going it alone. The presence of ISIS in the country has been known since 2014. 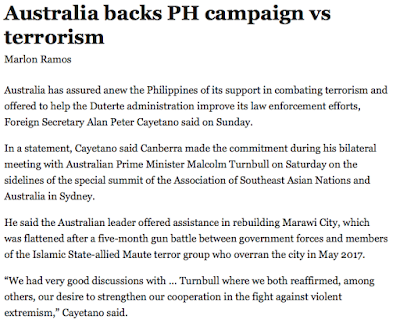 It was in 2015 that Australia and the Philippines pledged to help one another in the fight against ISIS. 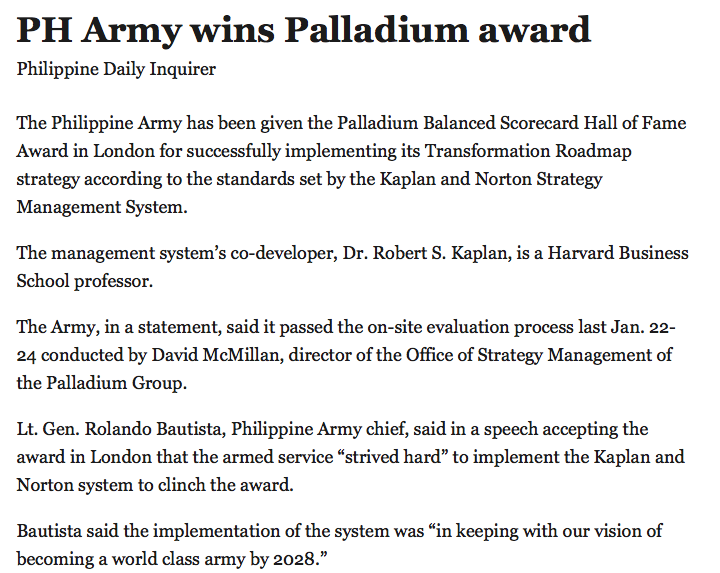 What good has cooperation done for the Philippines? None it seems. 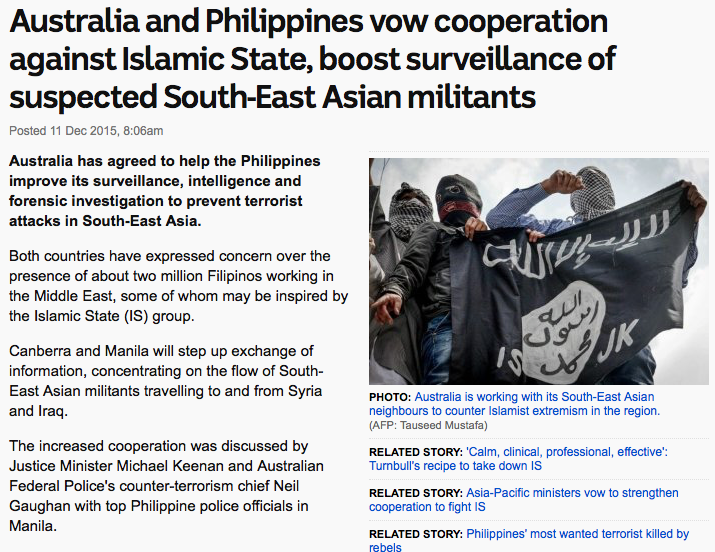 Despite cooperation with Australia ISIS has maintained and increased its foothold in the Philippines. Even with a continuing American presence (they have never fully gone away) ISIS has grown in leaps and bounds. The AFP will welcome the hardware and firepower of the USA with Operation Pacific Eagle and the training from the Australians to fight urban warfare as well as maritime patrols in Mindanao but other than that the Philippines appears to want to chart its own course in the way it handles terrorism. It's like a beggar who only wants your money and will curse you if you give him food. The Philippines wants weapons and hardware. 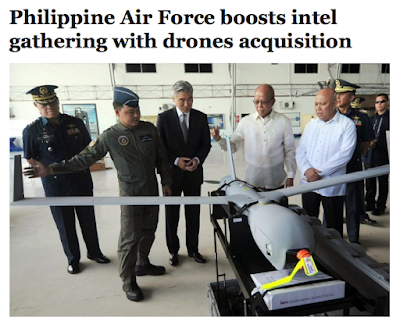 The Philippine Air Force (PAF) has upped the ante on its aerial intelligence gathering with the acquisition of six unmanned aerial vehicles (UAVs) from the US worth $13.36 million. 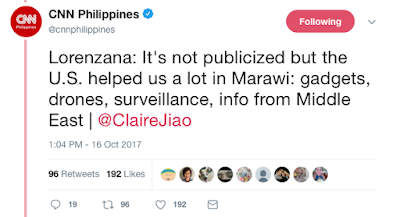 The DND Is lax to verify foreign intel reports but if you question the intelligence the Philippines has gathered about alleged terrorists then all hell will break loose. “This list is a product of research and evidence supplied by police authorities and intelligence agencies,” he told reporters at the DOJ. Recall that this list features a UN special rapporteur for indigenous peoples. The UN is not pleased with her inclusion which led to a spate of words between the Human Rights chairman and Duterte culminating in his withdrawing the Philippines from the ICC. 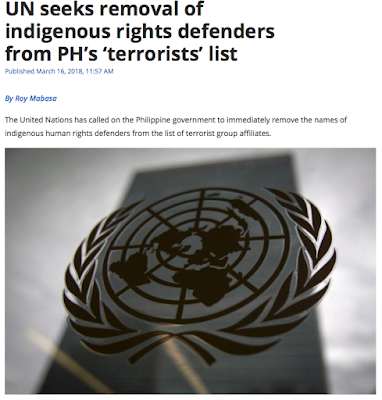 The UN is adamant that the Philippines remove her. The Forum expressed its belief that the charges against the indigenous human rights defenders are “unsubstantiated” and that they are being targeted for their advocacy and efforts to promote and protect the rights of indigenous peoples. “We find this unacceptable in a country that is based on principles of democracy and good governance,” the UNPFII said. 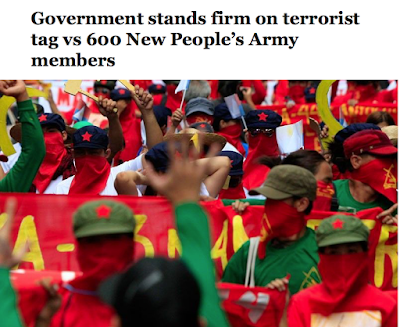 Leave it to China to defend their new found ally and plaything. “Relevant sides of the international community, including the Office of the United Nations High Commissioner for Human Rights, shall respect the sovereignty of the Philippines and the will of its people, view the outcomes of the Philippines’ fight against drug and terrorism in a comprehensive, unbiased and objective way, and support its efforts to move forward its human rights cause in light of its national conditions,” Lu said Monday in a press briefing in Beijing. What does sovereignty even mean in the case of the war on terrorism? If the Philippines has evidence on Corpus they should show it. They should share this information with the nations they are partnering with on the war against terrorism. Even if it is NPA and not ISIS. The NPA is listed as a terror group by the USA so any information regarding them will certainly help out with Operation Pacific Eagle. By all means they should at least show it to the U.N. Who wants a terrorist on their payroll? 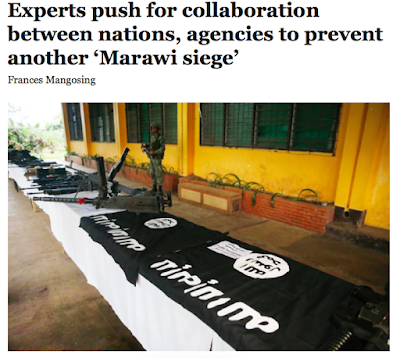 It's not that the Philippines is completely insincere in wanting to cooperate with other nations to fight ISIS-Philippines. 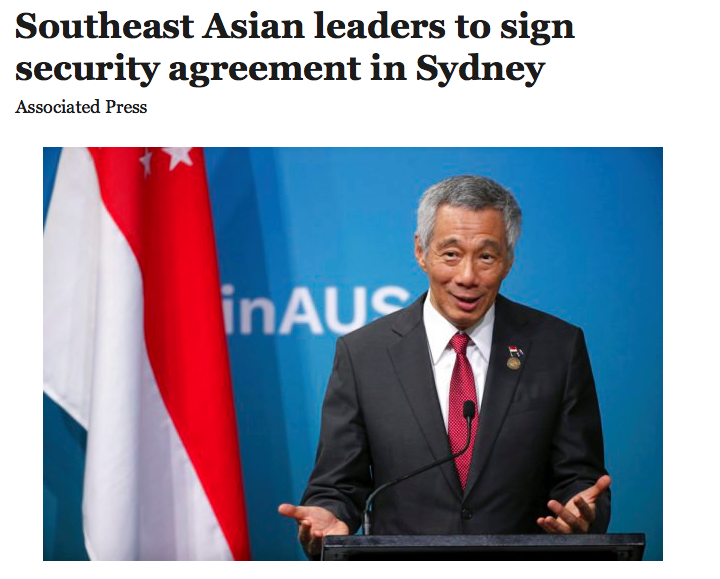 “We must recognize that national security cannot be achieved in isolation from regional security,” Dutton told a counterterrorism conference that coincides with a special ASEAN leaders’ summit in Sydney. 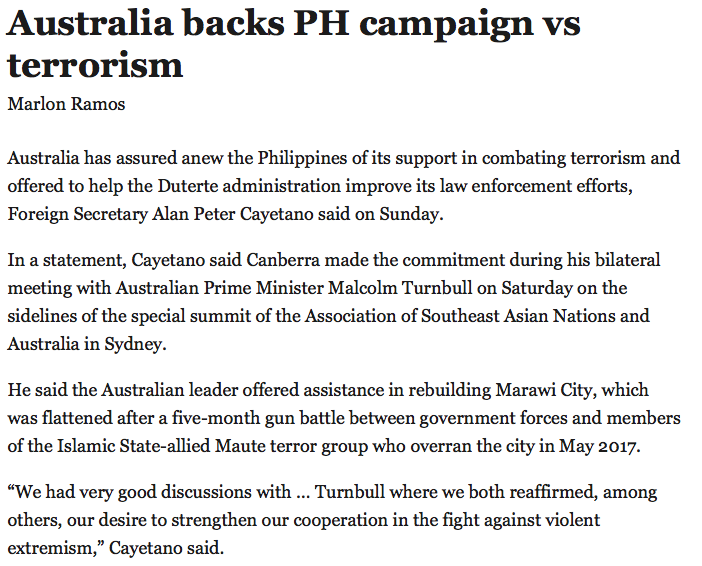 “We had very good discussions with … Turnbull where we both reaffirmed, among others, our desire to strengthen our cooperation in the fight against violent extremism,” Cayetano said. “The Philippines cannot fight and win this war on its own. We need to work with the rest of the international community in the fight against terrorism,” he added. 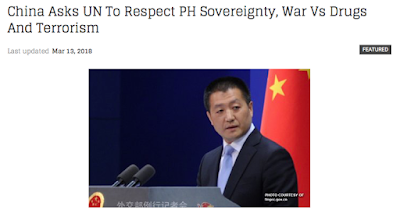 That sounds good coming from Cayetano but how is cooperation really working out in practice? 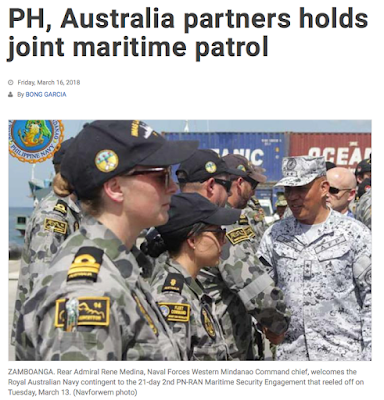 What are the real world results except that the Philippines receives discounted and/or free weapons and training from the USA and Australia? 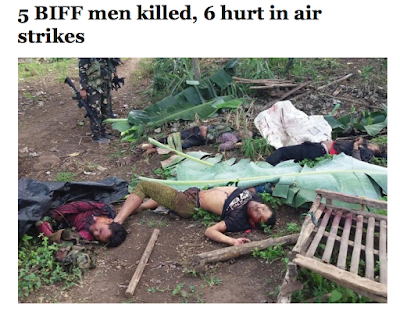 Mindanao remains an area of extreme Islamic violence. 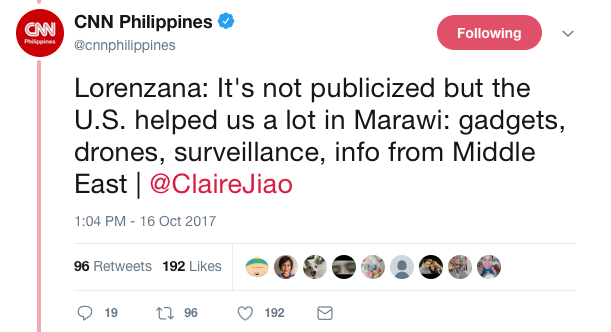 The problem is that the Philippines seems to be very touchy about wholeheartedly cooperating and sharing information it has gathered and validating information it has received. From the looks of it they want access to either free or discounted training and weapons from any nation who will offer them be it China, Russia, India, Australia, or the USA. 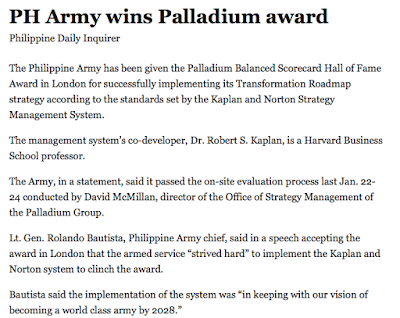 Getting freebies won't necessary transform the AFP into a world class army. But it will give them the gear to look like one.